! This is NOT a method of direct communication with BATES-RAINTREE FLORIST for purposes of ordering or rectifying problems. Beautiful flowers. Friendly delivery person. Many thanks! Thanks so much for your review. We appreciate your feed back. So glad the flowers were beautiful and I will let my driver know about your praises. Couldnt have asked for better customer service. I had ordered online and had a great phone conversation with Sandy. I procrastinated and they delivered perfectly. Will use again. So glad that we were able to help! Thank you so much for the order and look forward to serving you soon! Thank you so much for the BEAUTIFUL arrangement. The family absolutely loved them! You are truly talented at your work! Thank you for the wonderful review. So glad everyone was pleased. We appreciate you and thank you for your order. Thank you to Randy for a beautiful arrangement delivered at the last minute for a funeral. You are the very best and best florist in Chattanooga. Thank you so much for the great review. I'm so glad we were able to take care of this for you. We appreciate you. This is my second order, and Bates-Raintree continues to impress with both arrangement and customer service! I ordered flowers Wednesday for Thursday delivery to my friend at the hospital. I find out Thursday morning she will be discharged that afternoon. A quick call to Bates-Raintree, and they made sure the arrangement was delivered before discharge. Beautiful arrangements, matched by world-class customer service. Thanks very much! No, this is not the mother of anyone at bates! Thank you so much for the awesome review. So glad you were pleased with the flowers and service. We appreciate your continued business! Thanks for the nice comments. We appreciate you. I ordered an arrangement from your website for my daughters birthday. As I have never used your company before, I was hoping I would not be disappointed. I was absolutely thrilled with the quality and beauty of the flowers!!! Thank you so much for doing what you do best. She loved them!! You have a new customer. The company I have used for years just lost me as a customer. The last couple of orders have not been up to expectations. Thank you once again!! Thanks Mary Ann for the awesome review. So glad you were pleased with the flowers and hope your daughter had a wonderful birthday! We appreciate your business and look forward to serving you again! Top notch, my new "go to" florist in Chattanooga. Thank you so much for the compliment! We appreciate you continued business! While not a flower person myself, even *I* appreciated the beauty of the two arrangements I sent. And the recipient appreciated them even more. Your customer service is excellent, and you're a breeze to work with. Definitely 5 stars across the boar! You've earned a repeat customer in me. Great job, thank you very much! I am so glad you were thrilled with the arrangements. We appreciate your business and you reaching out to let us know your satisfaction. Very quick and courteous service. Thanks for the compliment and the order :) We appreciate your business. We were very happy with the service. So glad you were happy! Thanks for letting us know. We appreciate you. So kind of you to call to find out how long the flowers would sit outside! I appreciate the thoughtfulness! Beautiful quality flowers! Thank you so much for your review. We appreciate you. Thanks so much for the compliment. So glad you enjoyed. My arrangement is beautiful and I am really enjoying it in my office this week. Ordered on line. Delivered on time , as expected. The flowers lasted about 2 weeks before the last blooms fell off. Very satisfied with the product and service. Thanks for the nice review. We are so glad you were pleased with the arrangement and appreciate your order! TREMENDOUS SERVICE! I don't usually do surveys - but Bates-Raintree Florist went above and beyond. I didn't find out about the death until very late and was worried if they would even be able to deliver to the visitation. They called me and even offered an upgrade at the same price as peace lilies were not doing very well this time of year. I will definitely use Bates-Raintree Florist the next time I need a delivery in this area. Thank you so much for the wonderful review. We are so glad you were pleased with the service. We appreciate your business. Great arrangement and delivered with time to spare! I won’t use anyone else! So glad we were able to deliver your flowers early. Hope she enjoyed the arrangement. Thanks for letting us know. We appreciate your business! The flowers were stunning and are still beautiful almost two weeks later. I picked a florist in Chattanooga on a whim and am so happy I chose you! Will do so again. Thank you! So glad you enjoyed the flowers. It is wonderful to know that they lasted for so long. Thank you for letting us know and you are so welcome. Very fast service and the plant was beautiful! Thanks for the great review. So glad you were pleased. We appreciate you!!! Fast delivery. Beautiful arrangement! Thank you! Thank you for the compliments. So glad you enjoyed the flowers. We appreciate you! Beautiful flowers, and fast delivery! Perfect for a gift when you’re out of town. Thanks for the great review. So glad we could be of service to you. Keep us in mind next time you need flowers. We appreciate you. Great customer service and quick response! Delivered as requested. Thanks so much for the order. Glad you were pleased. We love making our customers HAPPY! Thanks Jonas. Glad she enjoyed them!!! So Glad you liked the flowers and thanks for letting me know! Beautiful, as always. My son who lives in CA has depended on you for years to celebrate special occasions for me by being sure I receive the wonderful gifts of flowers from you. Thanks for your continued artistry. I so enjoy being the recipient! So glad you enjoyed the arrangement. Looking forward to celebrating your special occasions with more beautiful flowers. I live in Florida but I needed to send flowers to my grand-daughter in Chattanooga. They were delivered within 2 hours of the time I ordered then. She told me they were beautiful, just like the picture and smelled wonderful. I will use Bates-Raintree Florist every time I want to send flowers. Thanks so much for the order. So glad your grand-daughter enjoyed the flowers! Best florist in Chattanooga! I order a lot of flowers for business & have used many companies. After finding Bates-Raintree, I won't use anyone else. Truly great people who make every arrangement with excellence! I know I can always count on them. The flowers were delivered so quickly - and they were beautiful. Three days later, they still look great. I love the combo of shades and the greenery that accompanied. Lovely. Wonderful to work with! Contacted me to make sure everything was correct in my long distance order, would definitely use again! 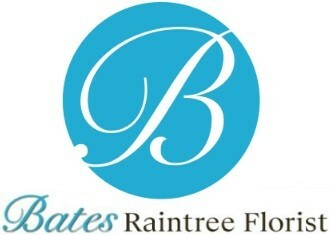 I have been using Bates- Raintree for several years and they have never disappointed. Great job as always! I loved the bouquet that I received. Very beautiful and colorful. Outstanding job. My flowers are beautiful! Got them Monday and today is Thursday... even more beautiful. Makes me think of spring. A FULL vase of flowers with a nice heavy (not cheap looking) vase. I just love them. Arrangement was perfect! Service was outstanding! The flowers were even more beautiful than I had expected. They had them delivered to my mom within an hour and a half of ordering online and they did not skimp on flowers at all. I am amazed. Perfectly picked to give open blooms but that still last for days! Ordered from overseas. On time and wonderful arrangement. Couldn't be happier. Thanks! Recipient was very pleased with the floral arrangement. timely delivery, efficient service - have used florist before and will do so again. The flowers were absolutely gorgeous. Thank you so much for your prompt service and delivery. The whole experience was pleasant. I was able to find what I wanted, select the size, and make arrangements for delivery without undue fuss. Once again, Bates Florist has brightened someone's day with the delivery of a beautiful floral arrangement! Thank you for ensuring the very best is sent and that every detail is taken care of! Great on time service one happy wife! Flowers were delivered on time. As always great job. Thanks so much!! Flowered were delivered on time. As always great job. Thanks again!! We have used Bates for several years and they always do a great job! I would highly recommend them. Bought some flowers for my girlfriend on her birthday and she loved them. The arrangement was beautiful. They called to ensure I got the delivery. I appreciate the quality of their service and flowers. I have had an account with Bates for many years and always use them when flowers are needed. Recently we ordered an Easter Lily for a funeral and it was outstanding! It was large and beautiful and the funeral home had it in front of the fireplace (wasn't cold weather) to show it off! While I sat there near by at visitation I could hear remarks about how beautiful it was!! Just wanted to let someone know and say thank you so much.